The talks surrounding the advantages of applications of Big Data are increasingly getting louder these days. 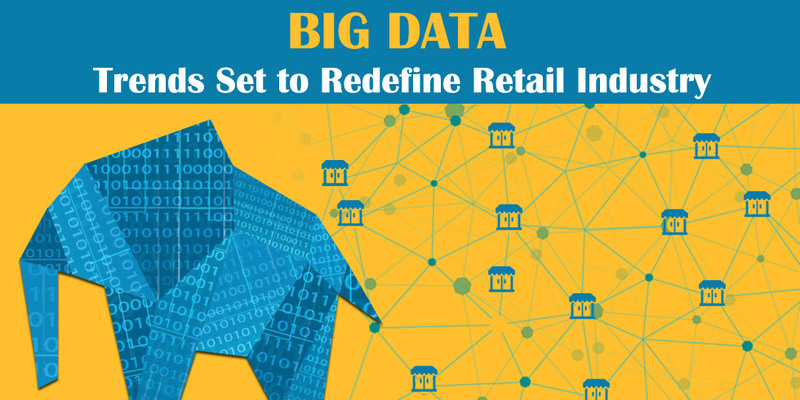 As big data solution providers come out with newer solutions, there is an increasing acceptance for these solutions in the retail industry. Today retail industry generates tons of data across their supply chain and at every point where there is interaction and transaction with the customers. With the adoption of social media in their value chain there is an explosion of data among small and large retailers. Though massive, this data holds enormous opportunities for the retailers who wish to increase their market presence and cater to the changing aspirations of their customers. Big Data solutions are setting newer trends in the retail industry, and changing the way retailers gauge demand and opportunities. Modern businesses are driven by information, and the ones that have better and faster access to it hold competitive advantage of their rivals. Big Data offers deeper insights into different aspects of every modern retail store right from inventory management to sales forecast. This modern technology can offer information on individual products to the last sale point and helps calculate elasticity of demand and supply. Business always had large volumes of data but never had the capability to analyze it in real-time. Big data solutions allow retailers to analyze data in real time. In high performance world of retailing, Big Data analytics offers you deeper insights into the changing trends in the market and the expectations of your customers. Using these analytical approach, you would be able to calculate the demand for thousands SKUs (stock keeping unit). When the competition gets intense, businesses often need to take instant decisions and with Big Data solutions retailers are able to take decisions in real-time. This can help in different aspects of the business including inventory and assortment decisions. This decision making is fact-based and is a great improvement over instinctive decisions that businesses took in the past which always had the room for misadventures. In the day and age when retail stores are facing intense competition from ecommerce, this is a great weapon in their armor to take online competition head-on. Adding Big Data solutions offers more flexibility to your business. Whether you need location based pricing or in-store analytics, these solutions can be applied at both the macro and micro levels for any retail chain. You will have the ability to get more innovative with your promotional campaign and even tailor them at the Point of Sale. As a retailer you must adopt big data solutions into your business ecosystem to stay ahead of your rivals. If you are looking for a company that offers big data solutions, we at Semaphore Software tailor these to your niche needs. We have been catering to small and large retailers across different industry segments and helped them gain more brand recognition. If you wish to know more, get in touch with our team at info@semaphore-software.com.